^ "DP03 SELECTED ECONOMIC CHARACTERISTICS – 2006–2010 American Community Survey 5-Year Estimates". United States Census Bureau. Retrieved January 24, 2016. Pleasants County is a county located in the U.S. state of West Virginia. At the 2010 census, the population was 7,605, making it the third-least populous county in the state. Its county seat is St. Marys. The county was created by the Virginia General Assembly in 1851 and named for US Senator and Virginia Governor James Pleasants, Jr..
Lewis County is a county in the U.S. state of West Virginia. As of the 2010 census, the population was 16,372. Its county seat is Weston. The county was formed in 1816 from Harrison County. Taos County is a county in the U.S. state of New Mexico. As of the 2010 census, the population was 32,937. Its county seat is Taos. The county was formed in 1852 as one of the original nine counties in New Mexico Territory. Sierra County is a county in the U.S. state of New Mexico. As of the 2010 census, the population was 11,988. Its county seat is Truth or Consequences. San Juan County is a county in the U.S. state of New Mexico. As of the 2010 census, the population was 130,044, making it the fifth-most populous county in New Mexico. Its county seat is Aztec. The county was created in 1887. 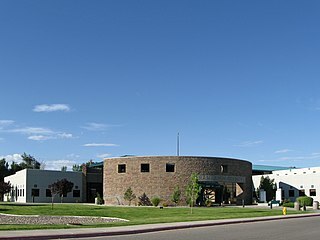 Quay County is a county in the state of New Mexico. As of the 2010 census, the population was 9,041. Its county seat is Tucumcari. The county was named for Pennsylvania senator Matthew Quay, who supported statehood for New Mexico. It is west from the Texas state line. Lincoln County is a county in the U.S. state of New Mexico. As of the 2010 census, the population was 20,497. 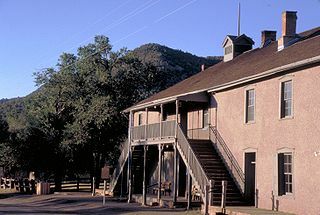 Its county seat is Carrizozo, while its largest community is Ruidoso. Guadalupe County is a county in the U.S. state of New Mexico. As of the 2010 census, the population was 4,687, making it the fifth-least populous county in New Mexico. Its county seat is Santa Rosa. Wheeler County is a county located in the U.S. state of Georgia. As of the 2010 census, the population was 7,421. The county seat is Alamo. The American Community Survey's 2009–2013 average reports that the county's per-capita income of $8,948 makes it the second-poorest county in the United States by this metric. Alamo Township is a civil township of Kalamazoo County in the U.S. state of Michigan. As of the 2010 census, the township population was 3,762.